I step into SYM’s swanky creation suite and am immediately intimidated by both the amount of options at my disposal, and the size and shape of my caveman-esque forehead. 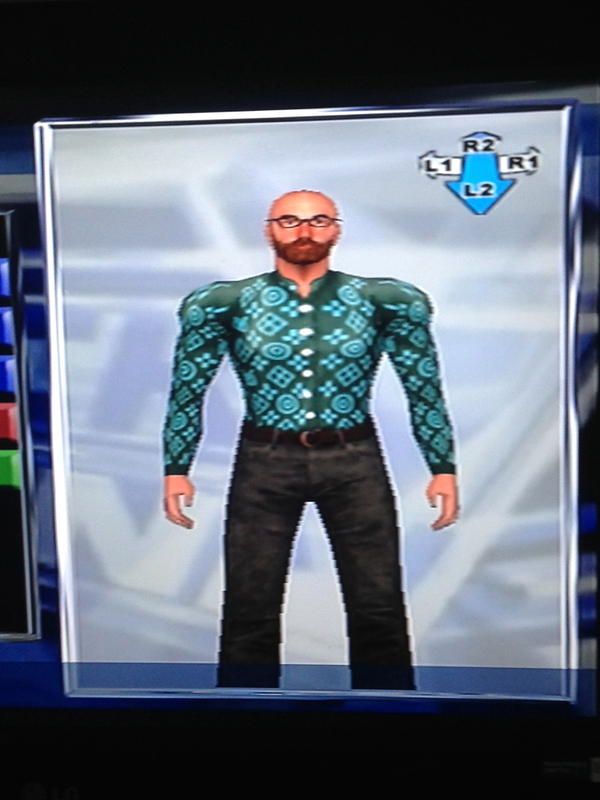 Undeterred, I opt to use the persona of Hipster Harold – BECAUSE MY PAIN HAS BEEN RESPONSIBLY SOURCED! – and dive into choosing my moveset. The array of moves on offer is dizzying, and completing the moveset takes me about 30 minutes. Had I not wanted to waste such a large portion of my life, I could’ve cloned the moves of an active wrestler. Something for everyone then. The only important thing to mention is that I wear socks and sandals, and am appropriately saddened at SYM’s lack of fedoras and banjos to complete my look. TREMBLE BEFORE MY ARCADE FIRE VINYLS! The draft pick. I’m going to the show. 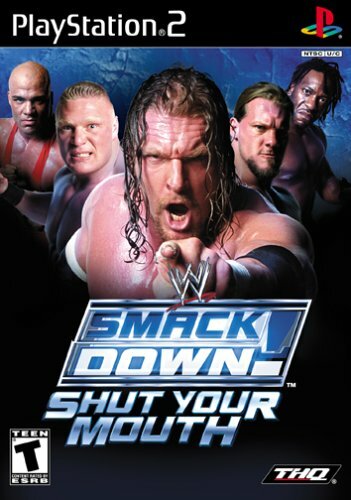 The Season mode begins by choosing either Vince McMahon or Ric Flair (Smackdown and Raw respectively), and using them to draft a roster for their show. 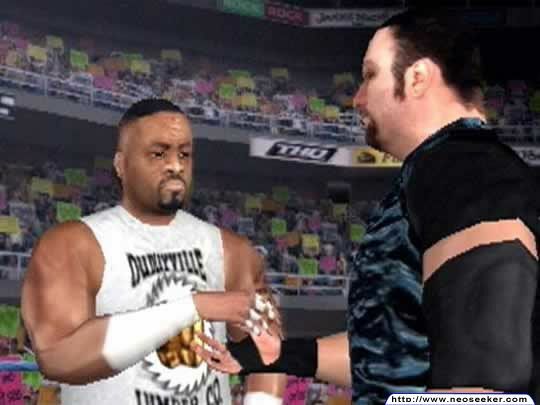 Vince gets first pick and toys with wasting it on Spike Dudley, thereby rocketing him to superstardom overnight. Cooler heads prevail and he chooses Brock Lesnar, because playing this game in 2014 gives TREMENDOUS hindsight. Ric chooses Rob Van Dam first, presumably unaware that Rob is a fan of both cannabis, and not apologising for owning said cannabis. This drones on for what feels like forever, with both Vince and Ric looking as though they are having a stroke in a microwave. I am chosen last by Vince McMahon. Vindication. Soon such luminaries as Rico and Scotty 2 Hotty will feel my brand of justice run over them like a vintage bicycle. 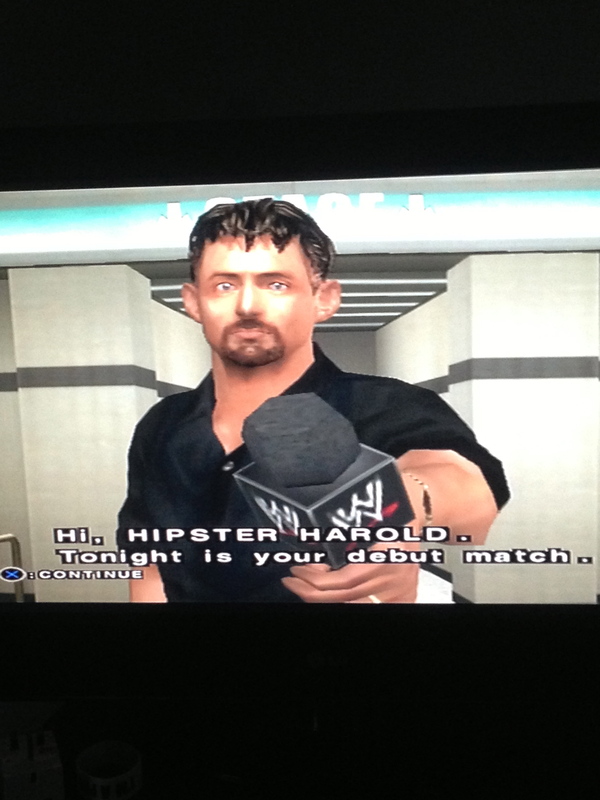 Michael Cole doesn’t ask me a question, but then sticks a microphone in my face as though he did. It’s almost as though my life has been badly translated….I wrestle Goldust on Sunday Night Heat. I hate Goldust because his facepaint contains animal rennet. My justice is swift, due in no small part to the lack of constraints on my moveset. As a result, the match is a little boring. Like a foreign film with no symbolic messages about capitalism. Did I mention I’m a hipster? I wander around the backstage area before realising – there is no f*&^ing point in wandering around the backstage area. My legs have somehow become stunted, meaning i can only turn in obscenely wide circles, any wrestler I speak to asks me asinine questions that NO REAL PERSON WOULD EVER ASK, and any female wrestler I speak to suffers from a horrible affliction wherein their breasts jiggle up and down vigourously every time they start a sentence. I feel as though my life has been outsourced to Japan for fine tuning. Ridiculous. Yep. 100%, that’s definitely what peoples hands are like. I face Raven on Sunday Night Heat. Raven is called Raven, which is like Edgar Allen Poe, probably. I beat him in the match, but I have decided he shall be my best friend. Quote the Raven : Not any more! Poetry slam! I don’t get a match on the pay per view. Instead, I turn up to the arena simply to skip through a menu and wonder what the point of this was. I wrestle Scotty 2 Hotty. I have become bored. Possibly due to lack of protein. More likely because of the repeated punch punch kick kick of my opponents, with no real way to stop them. In spite of this, I persevere, and drop Scotty with my finisher, the Craft Ale Clutch. I retire from active in ring competition. When I was wrestling with my best friend Raven, everything was a lot more fun. When he left me to open a bakery inside an abandoned mine shift, I found wrestling in WWE Smackdown! : Please Be Quiet to be somewhat hollow. Still fun in small doses, with some surprising creative depth, but chock full of dodgy looking folk with bad translations and a very suspect fighting style. Quote The Raven : It’s Alright, I Guess.